Tree stands put you one up on your quarry, elevating you for better visibility while making you harder to detect. 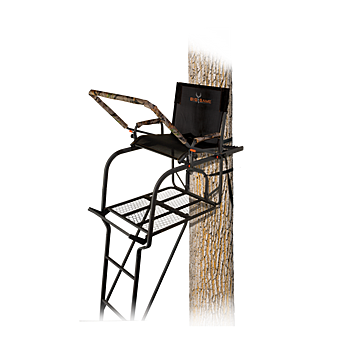 If you are looking to bring home that trophy buck this season, the Big Game tree stands, ladder stands and seats will boost your comfort as well as your success. 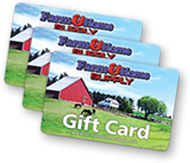 Made by Minnesota-based Big Game, these products are designed with your safety, stability and comfort in mind. 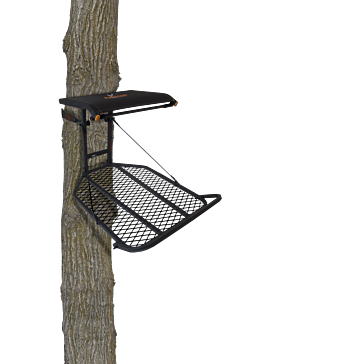 Big Game’s fixed tree stands feature smart touches like a flip-up footrest that keep you in the field longer so you can snag that wall hanger buck when he wanders by. Its tree stands fold flat for easy packing and mobility. 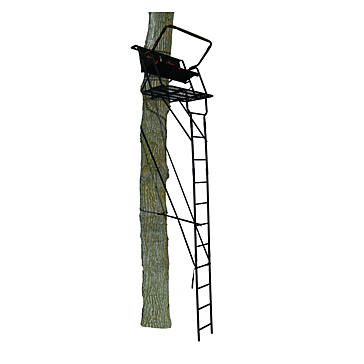 To reach new heights in your deer hunting, check out our Big Game ladder tree stands. 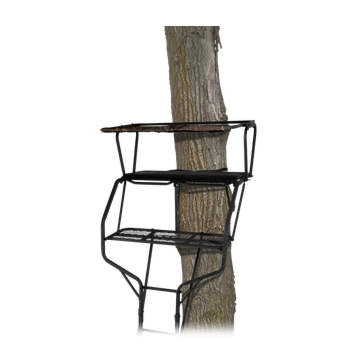 Available in one- or two-person models, these stands are available in your choice of heights to suit your hunting preferences and environment. Their padded, flip-back shooting rails will boost your comfort, convenience and performance. For instant comfort practically anywhere, add the Big Game swivel-top seat to your bucket list. 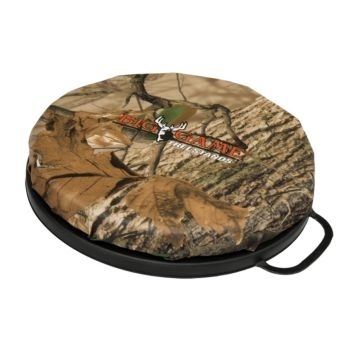 Affordable as it is comfortable, this camo-colored seat attaches to any 5-gallon bucket and is the perfect accompaniment for any hunting, fishing or camping trip.